Charles “Chip” F. Zukoski joined the chemical engineering faculty at the University of Illinois in 1985 as an assistant professor in colloid and interfacial science. He went on to serve as department head from 1994 to 2002 before advancing to vice chancellor for research on the Urbana-Champaign campus. In that role, from 2002 to 2008, he led initiatives in technology commercialization and international economic engagement activities. He was also chair of the Science and Engineering Research Council in Singapore prior to his appointment as Provost and Executive Vice President for Academic Affairs at the University of Buffalo in 2012. A member of the National Academy of Engineering, Dr. Zukoski was named one of the Hundred Chemical Engineers of the Modern Era by the American Institute of Chemical Engineers. Provost Zukoski holds a bachelor’s degree in physics from Reed College and a PhD in chemical engineering from Princeton University. For a recent issue of Mass Transfer, we caught up with Prof. Zukoski and asked about his time here and what he’s been up to in recent years. You were department head from 1994 to 2002. What was it like in the department when you assumed leadership? This was a period of a generation change. The titans that built Chemical Engineering (Westwater, Drickamer, Hanratty, Eckert, Alkire) were in full stride but there was a need to think about structuring the department and the profession for the future. There was a growing interest in biological reactors and a thrust into biomedical engineering. The traditional petro-chemical industries were undergoing substantial restructuring and the personal care industries were strong. There were growing signs that sustaining the department required diversifying revenue streams. These factors shaped much discussion in the department. Shortly after I became head, alumnus Chuck Prizer (BS ’44) “adopted” me. He would come back every six weeks or so, give me advice, and was a true mentor for me. We dropped below 10 faculty in the department before we began to grow again. We looked at where we were spending money, where our income was, how we could renovate space. Chuck was a strong advisor and helped us enormously in fundraising. In 2002, the name change from Chemical Engineering to Chemical and Biomolecular Engineering took place. This change had national and international implications. The department led the national discussion. At that time at Illinois, there was a great deal of interest in following the national pattern of establishing a Department of Biomedical Engineering. These departments were being created due to the state of science and engineering and were enabled by the Whitaker Foundation which was moving around the nation endowing new departments. The discipline had great enthusiasts. From a chemical engineering perspective, the engineering of life systems involves combining many chemical processes- such as catalysis, reactor engineering, heat and mass transfer, and process control. Chemical Engineering at Illinois had invested heavily in biological processes both associated with human health and using biochemical processes to synthesize valuable chemicals. When Departments of Biomedical Engineering were established, they tended to extract talent and resources from Chemical Engineering Departments. As a result, the name change at Illinois was in large part a defensive move. At the same time, the need for the discipline of Chemical Engineering to move beyond petrochemical processes was strong. The name change was controversial as it established biological processes as core to the discipline of chemical engineering. 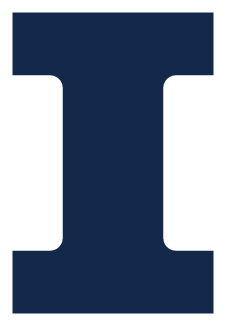 At Illinois, I sent a memo to faculty on January 1, 2002 suggesting a name change and we approved the name change unanimously a month later. Later, Steve Miller (BS ’67) brought in stakeholders to debate the change and it was ratified. At AIChE’s annual meeting that year, department chairs and deans were surprised to learn the uniformity of support within the department. Within a year, almost all the departments in the nation changed their names. Illinois played a key part in establishing that biomolecular research is core to the discipline and this changed the direction of the profession. What else stands out to you about your time here? What stands out to me is what a fabulously good time it was to be in the department. Illinois was a fantastic place to build and sustain a career. There were resources in terms of extraordinary students, wonderful colleagues, and the capacity to do science at a level many peers around the country couldn’t do. Illinois remains a spectacular place to build a career. The building of the Singapore program was important for the department and the university. We slipped in at the time when Jurong Island was being built. Singapore has a large petrochemical industry and they needed a lot of chemical engineers, especially students with master’s degrees to work for companies there. So we developed the joint masters’ program with the National University of Singapore, which became the basis for a joint PhD. That led to the Advanced Digital Sciences Center largely operated by Electrical and Computer Engineering in collaboration with Singapore’s A*STAR (Agency for Science, Technology and Research). [ChBE Professor Huimin] Zhao is now a visiting investigator at A*STAR. Characterizing the structure and formation of protein crystals formed a central part of the research of Professor Charles Zukoski, shown here with members of his group, graduate students Mike Farnum and Suzanne Jogun in 1998. When I think about the opportunities I had at Illinois, it was collaborations I had with ChemE faculty (Van Swol, Higdon, Kenis) and those outside ChemE, such as Francis Young, Ken Schweizer, Tom Rauchfuss, Walter Klemperer and Jennifer Lewis. The collaborations I had were wonderful and essential for me. Charles Zukoski (foreground) and graduate student Patrick Maloney examine structures developed in electrorheological fluids in 1989. My research career (in the surface and material properties of colloidal suspensions) went through all its stages at Illinois. I managed it while department head and vice chancellor for research and for the three years I was in Singapore. My last graduate student at Illinois graduated this year. My former students have pursued a variety of careers. Several went on to academia, such as Dan Klingenberg, professor at the University of Wisconsin, Efie Kokkoli, professor at the University of Minnesota, Narenda Dixit at IIT Bombay, India, Subramanian Ramakrishnan, professor at Florida State, So Youn Kim at UNIST in Korea. Others can be found in corporations large and small around the world. What are you doing now and what prompted the career change? The University of Buffalo is a big, comprehensive university. We’ve got 30,000 students, and medical and law schools. I’m the chief academic officer and budget officer. I’ve gone to what many of my colleagues see as the dark side: academic administration. The story I tell people is after returning from Singapore, I was teaching a mass transfer class in Chem Annex and looked up at group of 130 juniors. It flashed through my mind that I’d been teaching this material for 20 years and the students still did not understand the material. This led me to reflect that I was spending time not on the details of teaching mass transfer unit operations on larger questions on the future of higher education and the future of public education: How do we educate the next generation in face of the debt students take on and the expectations students and society have? Those were the large-scale, macro questions I was spending a lot of my time worrying about. That’s what provosts do: We worry about how to provide resources to enable faculty to teach and undertake scholarship and students to learn all within a financial framework that enables us to advance our society. Provosts are charged with keeping institutions moving forward, with budget issues, building programs, helping deans, helping build academic programs that will provide value and education to the next generation and how universities create and transfer new knowledge that society needs. I spend a lot of my time worrying about these issues and working with faculty and deans on the implications of the changes we face and how do we move forward in scholarship and engagement with the public. I find these questions fascinating, that’s why I’m a provost. What comes to mind when you think of Champaign-Urbana and the campus? What do you miss? Barbara and I were there for 28 years. We raised our family there. The atmosphere is different from Buffalo. Buffalo is a city. We always found Champaign-Urbana to be this fabulous place. It’s a university town, with always fun things going on, especially at Krannert but also in the community as a whole. The changes in Champaign and Urbana over the 28 years we were in Urbana are astonishing. I miss the sense of community. Particularly when you’ve been at place for 28 years, you have family friends and friends of children’s friends. The standard statement (about Champaign-Urbana) is ‘there’s no water, no mountains, why would anybody stay?’ Barb and I always found it took a lot to pull us away because there’s so much going on in ChemE, in engineering, and on the campus. Our eldest son, Andrew, is now married and lives in Berkeley. His wife is finishing her fellowship in addiction medicine. Andrew, who went to Rice University, is running his own startup, building software to help people design buildings. Nick graduated from Carnegie Mellon, lives in Manhattan, and works for Google on projects associated with how readers determine the credibility of a news feed. How do you spend your free time these days? Barbara and I have begun to enjoy the theater scene here in Buffalo. There are over 20 different theater groups here. That’s one of the benefits of being in the city. Last summer, Barb and I took the advice of our son Andrew and spent 10 days in the Alps. We hiked past overlooks of glaciers, cows with bells, and eight to 10 miles later we’d end up at a hotel. We went from Chamonix (France) to Zermatt (Switzerland). It’s an amazingly civilized, well-marked, hike that takes you high up in the Alps.